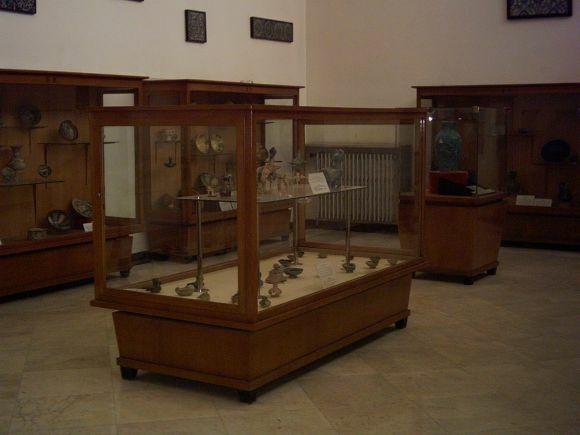 The National Museum in Damascus was established under the supervision of the Ministry of Education in 1919. The original core of this museum's contents was initially kept at the Madrasa al-'Adiliya. The collection gradually increased and the discovery of the Umayyad palace of Qasr al-Hayr al-Gharbi in the Syrian desert in 1936 further spurred into action plans for a newer and bigger museum. 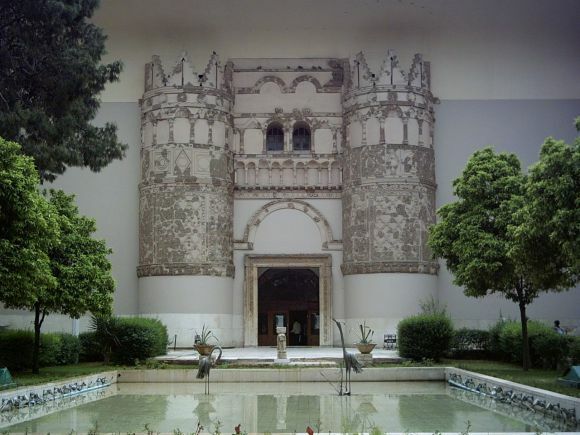 A building located next to Al-Takiyya al-Sulaymaniya was chosen for the establishment of the National Museum of Damascus. Qasr Al-Hayr Al-Gharbi added new emphasis to the importance of devoting more attention to the Islamic period and the Directors of Antiquities decided to incorporate these palatial finds into the National Museum of Damascus. After much hard work and technical expertise, the front façade of the Qasr al-Hayr al-Gharbi was transposed and carefully reconstructed as the National Museum's main entrance. The side halls and the second floor were designated for the most important artistic finds of this early Islamic palace. The completion of the display took several years and the official opening was celebrated in 1950. 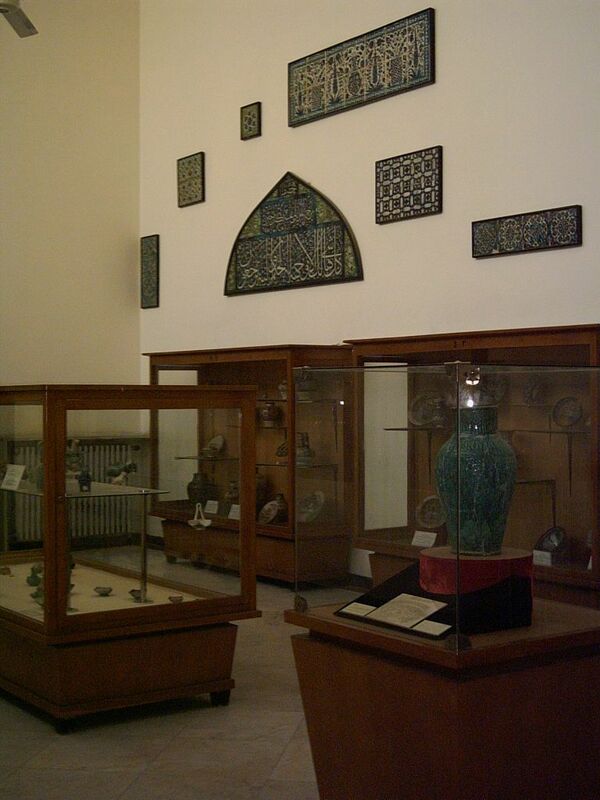 In 1953 a three-storey wing was added to house and display ancient oriental antiquities, the Islamic period, modern Syrian art, and temporary exhibitions. One of the more recent extensions included three double halls for the Islamic period, a new lecture hall and a library. The lecture hall was furnished as a 19th-century Damascene reception hall, a masterpiece of late decoration and ornamentation in its own right. The opening of this extension took place in 1963. In 1974 there were further additions, this time devoted to the Palaeolithic period. And lastly, in 2004, the temporary exhibition wing was transformed into a permanent collection of Neolithic antiquities.